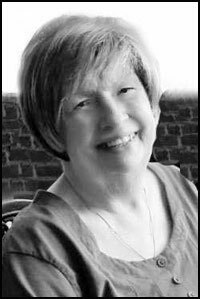 Vera Starch age 72, of Madison, lost her battle with cancer on April 6, 2019, with her family by her side. She was born on Aug. 12, 1946, in Los Angeles, Calif., to Joseph and Charlotte Thies. She graduated from Madison East High School in 1964. Vera worked for the State of Wisconsin for 45-1/2 years and retired in 2011. In her free time she was an avid quilter and enjoyed crocheting gifts for her family and friends. She also enjoyed her travels to upper Minnesota to see family and go fishing. She adored her two grandchildren and cherished the time she spent with them. Vera is survived by her three daughters, Sue Sherman (Kevin Kohn), Arlington, Christa (Rich) Welling, Madison, and Aimee (Jon P.) Schwichtenberg, Elko New Market, Minn.; a granddaughter, Ashley (Kenneth) Zawodny, Las Vegas, Nev.; a grandson, Cody (Rachel) Schwichtenberg, Madison; a great-granddaughter, Ivy; and a great-grandson who will arrive in July; a brother, Ralph (Karyl) Theis, Colorado Springs, Colo. She is further survived by numerous nieces, nephews, cousins and other relatives. She was proceeded in death by both her parents; a sister, Debra Hoff; and a brother, Donald Thies. The family would like to thank the UW Carbone doctors and staff, along with Agrace HospiceCare team in both Dane and Rock Counties for the care and compassion they showed their mother. They would also like to thank her friends, Kathi, Barb, Chris and Bill for the friendship and support they showed to Vera. It was Vera wish to not have a funeral or memorial service. Instead it was her desire to be cremated and have her ashes spread at her favorite lakes. Donations can be made in honor of Vera’s memory to Agrace HospiceCare, Wis. Public Television or Dane County Humane Society. 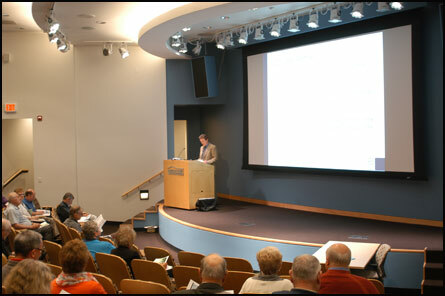 The 2019 Coalition Conference regarding the Wisconsin Retirement Fund is being held May 10 at the American Family Campus in Madison. 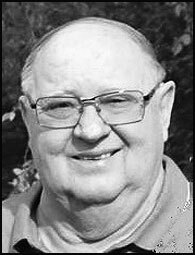 Reddeman, Reuben “Rube” F. Jr.
Reuben “Rube” F. Reddeman, Jr., age 79, passed away March 13, 2019 in Madison. He was born September 11, 1939 in Poynette to parents Reuben Reddeman Sr. and Anna (Falk) Reddeman. Rube's mother died when he was very young, and his father later married Ila (Johnson) Reddeman, who, along with his sisters' help, raised him on the family farm in Arlington Prairie. He graduated from DeForest High School in 1957, and began his 40-year career with the Department of Natural Resources. He started in the mail room, and worked his way up to boater registration, then on to property management, where he traveled the state purchasing, insuring, and selling the equipment used at all of the state parks in Wisconsin. Rube filled his spare time managing the parking lot of the Dane County Coliseum, and volunteering for the Madison Jaycees. On December 7, 1974, he married Cheryl Ann Smithena, and moved to Cross Plains. Together they enjoyed traveling, camping, and their time spent in Florida during the winter months. Rube loved coaching the Packers and Badgers from the comfort of his couch, but always appreciated going to a game. In 2009, they moved to Parkside Village in DeForest, where they currently reside. Rube also enjoyed the outdoors: camping, fishing or boating on the local lakes. Rube was always telling jokes, and he will be remembered as a funny, easy-going guy with the ability to easily make friends and spread laughter. He is survived by his wife, Cheryl Reddeman of DeForest; son, Todd (Pam) Reddeman of Alpharetta, GA; daughter, Tami (Mike) Strang of Prairie du Sac; granddaughter, Brianna Reddeman of New Orleans, LA; sister, Evonne (Charles) Linde of DeForest; sister-in-law, Joyce (James) Quackenbush of Middleton; numerous nieces and nephews, other loving family and many friends. He was preceded in death by his parents; his sister, Ruby Ann (Ervin) Schmidt; and his step-sister, Katherine (Burnette) Hellickson. The family would like to extend a special thank you to Dr. Dan Jarzemsky and his entire team at the Cross Plains Clinic for their thirty years of care. A Celebration of Life will be held at 7:00 p.m., Friday, March 22, 2019 at RYAN FUNERAL HOME, 6924 Lake Rd., DeForest. 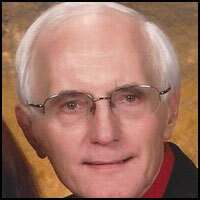 Visitation will take place from 4:00-7:00 p.m., Friday, at the funeral home. Douglas Knauer, age 77, of Negaunee Township, passed away Tuesday, March 5, 2019, at his home, in the loving, comforting care of his family and the caregivers of UP Home Health and Hospice. 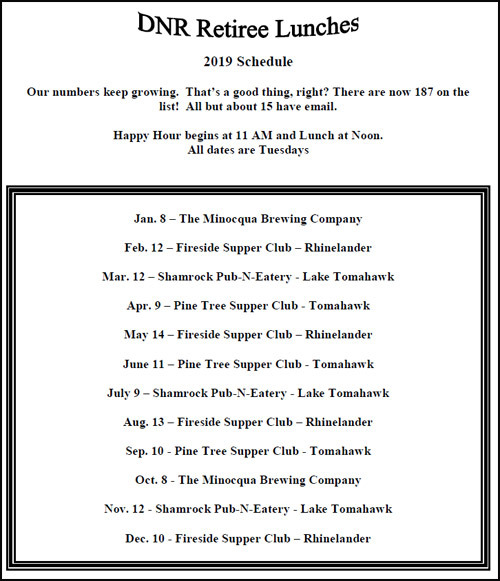 Fassbender Swanson Hansen Funeral and Cremation Services is serving the family. A complete obituary will be forthcoming. Mary Ellen Vollbrecht started a long career with WDNR in 1986 working in half-a-dozen programs, but primarily in Water Regulation and Zoning. In 1992, she promoted to Water Reg Supervisor, overseeing the six county area of the Southeast Region. In 2008, she became the Secretary's Executive Assistant. 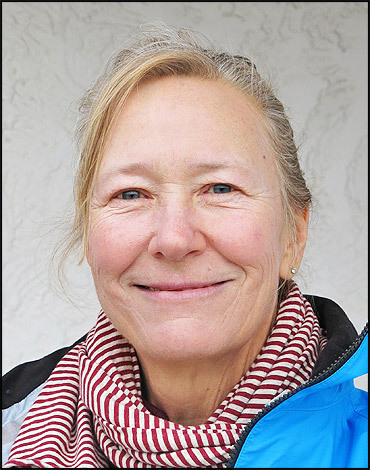 From 2012 until her retirement in 2016, Mary Ellen headed the Groundwater Section, located in the Central Office. In retirement, Mary Ellen enjoys biking all around the world. Closer to home she enjoys gardening, cross country skiing and helping people to get out and vote!! MADISON, Wis. – The Wisconsin Urban Forestry Council recently announced award recipients honoring those dedicated to protecting, preserving and increasing the number of trees that line city streets, fill community parks and beautify neighborhoods throughout the state. The Wisconsin Urban Forestry Council advises the Department of Natural Resources Division of Forestry on the management of urban and community forest resources. This year’s recipients were announced recently at the 2019 Wisconsin Arborist Association/DNR urban forestry conference in Green Bay. Lifetime Achievement: Ted Pyrek is recognized posthumously for his over 30-year leadership and dedication promoting and improving urban forestry in the City of Horicon. He was instrumental in the creation of the city’s Tree Board, in securing their first and subsequent Tree City USA designations, and was an integral part of 30 years of Arbor Day celebrations. He engaged a wide array of local citizens in these efforts, including many service groups (Rotarians, Lions, Jaycees, Kiwanians), Explorer Scouts, City officials, students from elementary school through high school, and their teachers. Ted’s impact will endure, and his work will continue to provide multiple benefits to the community for decades. To learn more, see previous winners and nominate your community tree champion, visit dnr.wi.gov keyword, “Urban Forestry Council.” The deadline for 2020 nominees is October 31, 2019. However, you can nominate your community tree champions any time. A visitation will be held February 16, 2019, from 4 until 6 p.m. at Hansen-Onion-Martell funeral home, Marinette, WI. A memorial service is scheduled for February 17th, at 1 p.m. at Peshtigo United Methodist Church, with a reception to follow. Pastors Kevin Dembinski and Ron Helgerson will officiate at the ceremony. All are welcome to attend and celebrate Roger's life. In lieu of flowers, please send donations to the Natural Resources Foundation of Wisconsin. To plant a tree in memory of Roger Amundson, please visit our Tribute Store. OREGON—James Thomas Chizek, age 88, passed away in the morning of Jan. 30, 2019, into the loving arms of our Heavenly Father. Jim was born on May 15, 1930, to James and Anna Chizek in Fifield, Price County. He grew up on the family farm with one sibling, Etta Chizek (Swanson) while a baby brother passed away during childbirth. Jim graduated from Fifield High School and was then drafted to into the U.S. Marine Corp. Jim loved being a Marine. He served as an admiral’s personal bodyguard aboard ship on an Essex Class Aircraft Carrier, the USS Oriskany, during the Korean War from in 1952 to 1953. After the war, he returned to Fifield and worked for the Soo Line Railroad. He married Shirley Plyer on July 23, 1955, in Phillips. He then found his passion in life and trained as a conservation warden in Ladysmith, Park Falls, Shawano, Jefferson and Janesville. His first assignment was in Portage, based in Columbia County. He then accepted a position as a regional conservation warden for the State of Wisconsin based out of Park Falls in Price County. The family was happy being back in northern Wisconsin. His duty was now in the Chequamegon National Forest. An unfortunate car accident occurred and Jim was severely injured, which then, is when a new opportunity presented itself, the family moved to Lodi. Jim continued to work in Department of Natural Resources (DNR) as a special investigator for several years. 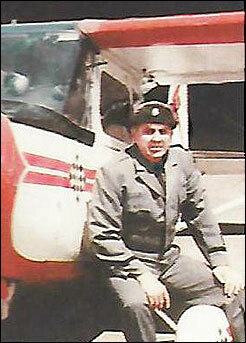 Jim trained many law enforcement officers and recruits. Jim trained SWAT teams at Badger Ammunition for southern county law enforcement in 1970, just prior to bombing at Sterling Hall on the University of Wisconsin campus. He was a well-respected leader among the DNR Bureau of Law Enforcement based in Madison. Jim was truly a legend in his own time. Jim loved his family, their dogs, gardening and the outdoors. Especially hunting, trapping and fishing. His favorite food was “any” pie. There were many family-fishing trips to Canada and to the families’ log cabin in northern Wisconsin. Jim created and served as the first president of the Wisconsin Conservation Warden’s Association. He taught many safety and educational classes focused on hunting, boating, trapping, recreation and collecting natural edibles from the woodlands. The family housed numerous abandoned and injured animals throughout the years. We were taught how to respect and care for these animals who were disadvantaged. 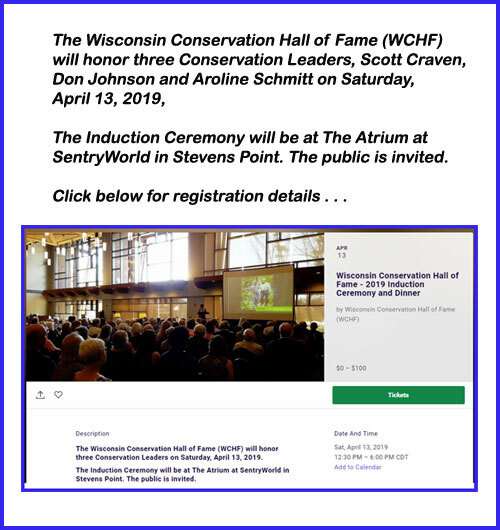 He also served on the board of directors for the MacKenzie Center located in Poynette, in efforts to preserve wildlife of Wisconsin. 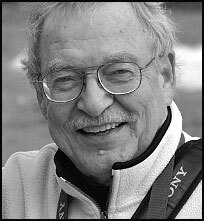 In later life, Jim authored three books that were written and dedicated to protect the outdoors and historical education on the State of Wisconsin. He was a collector, inventor and holds some U.S. Patents. Jim loved telling stories about his adventures as a conservation warden. Jim also volunteered to work on the Wolf River Sturgeon Guard Program and served as sturgeon general. Jim was part of integral teams that founded three Wisconsin Museums; MacKenzie Center Museum in Poynette, Warden’s Museum in Stevens Point and the Old Town Hall Museum in Fifield. He had a robust circle of friends that shared his passion for conservation of the outdoors and they had numerous adventures together. Jim and Shirley also enjoyed traveling the U.S. and spending winters in Gulf Shores, Ala. and Benson, Ariz. later in life. Jim was preceded in death by his parents, James Sr. and Anna Chizek; sister, Etta; and baby brother, Chizek. 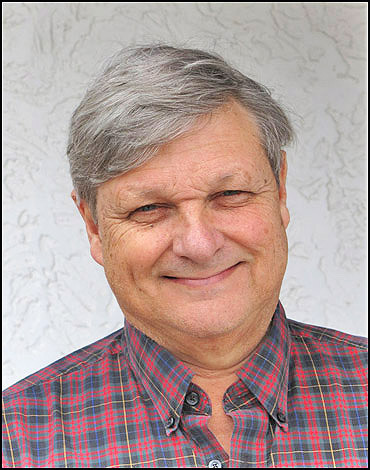 He is survived by his children, Frank, Donald, and Michelle (Greg); and grandson, James (Casey); and grandchildren, Catherine and Madeline; along with nephews, Randall (Dawn) Swanson and James (Sandi) Swanson. A celebration of Jim’s life will be held on Saturday, Feb. 9, 2019, at 10 a.m., at the LODI FIRST LUTHERAN CHURCH, 206 Pleasant St., Lodi, with a service to follow. Andy Morton retired in September of 2018 after a 36 year career with WDNR. 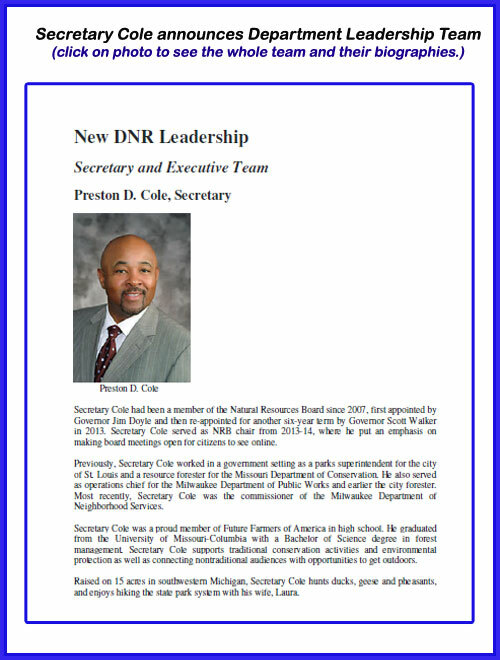 He began working for WDNR in the Central office in the Acid Rain and Air Management Section, where he worked for six years until he moved to the Southern Region as the non-point Source Coordinator. Duties included serving as the Watershed Coordinator for the Region, as well as coordinating grants to counties, and serving as the Regions front line for dealing with non-point complaints from cities and farmers. For the last 17 years of his career, he served as the Region's Water Program Runoff Supervisor. Since retiring, Andy continues to enjoy playing his several acoustical mandolins, which he also builds as a hobby, and also enjoys flyfishing.